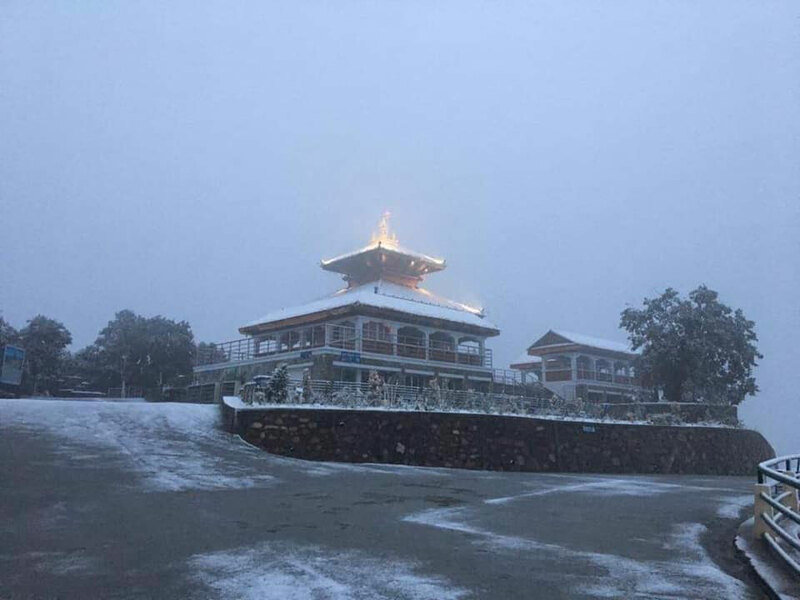 KATHMANDU, Jan 23: Chandragiri hills, one of the highest land elevations around the Kathmandu valley, has witnessed snowfall for the second time this year on Wednesday. Prior to this, the place had witnessed the first snowfall on January 7 this year. Chandragiri is 2552 meters above from the sea level and lies on the south-west of the Kathmandu valley. 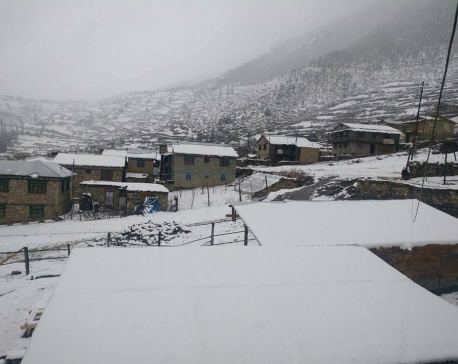 Along with Chandragiri, Shivapuri and Fulchoki and other higher elevations around the Kathmandu valley experienced snow fall whereas the valley witnessed rainfall since Wednesday morning. Shanti Kadel, a meteorologist at the Meteorological Forecasting Division (MFD), told Republica Online on Wednesday morning that various parts of the country will witness moderate rainfall in the afternoon, evening and tonight. Kadel predicted that the weather condition will witness some improvements from Thursday morning. 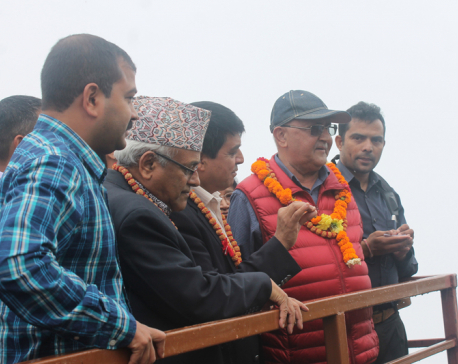 "There is a possibility of heavy snowfall and rainfall in the mountainous region for the next few days," Kadel said. The weather condition will be worsening on Friday and Saturday, according to the MFD. The division has made this prediction citing the possibility of snowfall in the mountainous regions and rainfall in the hilly regions of the country from Saturday to Monday.